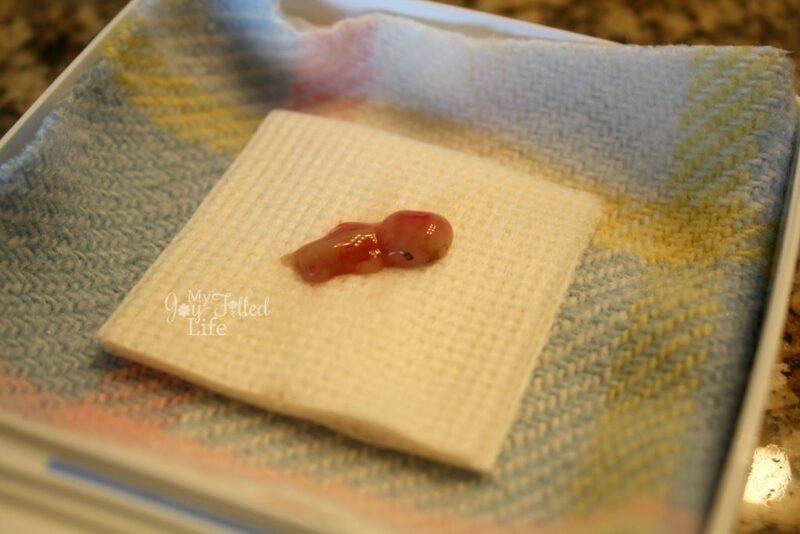 *WARNING: this post includes images of a 8-10 week old human fetus. 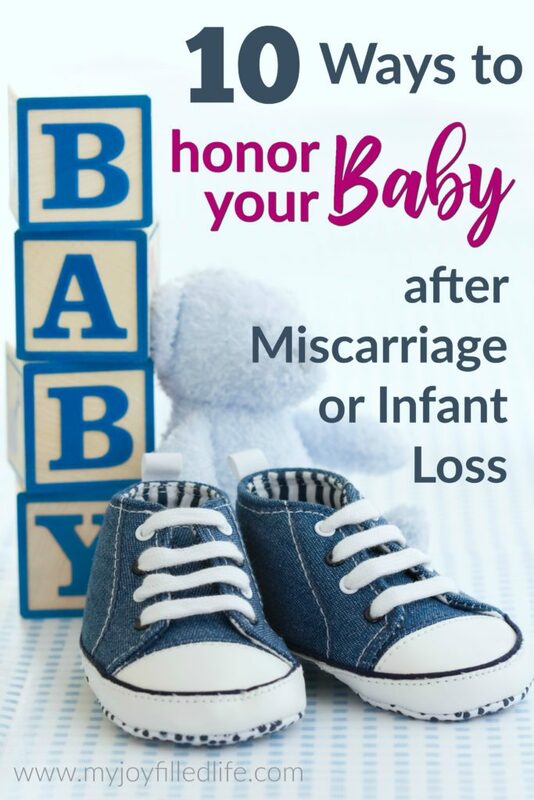 Today marks the beginning of Pregnancy and Infant Loss Awareness Month, with October 15th being the day specifically dedicated to families who have suffered this greatest of tragedies – losing a baby too soon, whether through miscarriage or infant death. 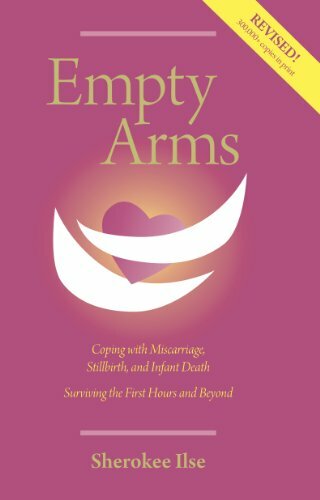 One in four women suffer some form of miscarriage, stillbirth, or infant loss in their lifetime, and this time is given to honor these lost babies and the strength of their families every day, and encourages them to speak up and tell their story and talk about their children because there is still so much stigma surrounding this kind of loss. I became part of that statistic exactly two years ago today. A few days earlier we had learned that our baby’s heart had stopped beating, and on October 1st, 2015, our 10(ish) week old Angel baby was born into this world, sleeping. I’m so thankful that it was actually quite a peaceful and serene moment. I had declined having a D&C and decided to wait it out and let the baby come on its own, in God’s time. On the afternoon of the 1st, while doing some work, I started cramping a bit, had a few mild contractions, and delivered our sweet baby into a colander in the toilet of our bathroom. 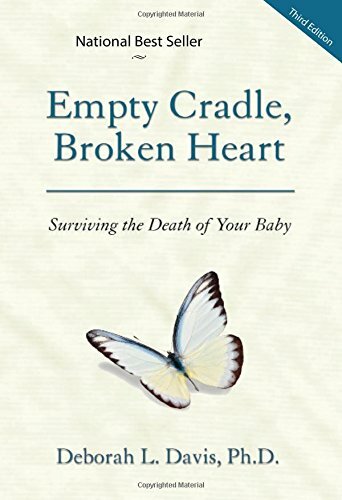 In the days leading up to our baby’s birth, after we had learned of its death, I researched the internet on what to expect and what to look for. I knew the baby would be small and I didn’t want to miss its passing, thus the colander in the toilet. I had also purchased saline and a travel soap dish to clean the baby up in. 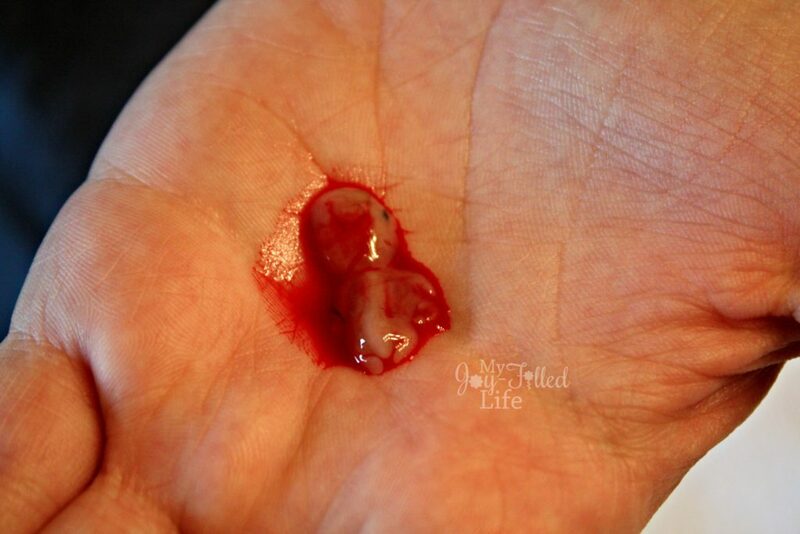 After the baby came out, I very carefully separated it from the sac/placenta, cleaned it up, and held it in my hand. It was so tiny, so fragile, and it was so beautiful. It was our baby. It was such an amazing experience to be able to hold and see our baby; I’m especially thankful for this moment because I know that many women that lose a baby this early don’t usually get this chance. It brought closure for us. 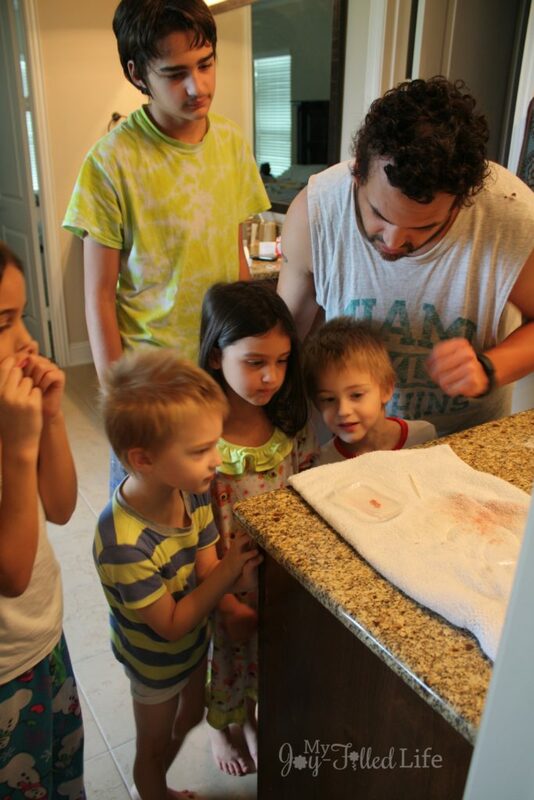 We had all of the kids (all 7 of them) come in and see the baby. They were aware of what was going on, and I wanted them to be a part of this and know and ‘meet’ their sibling. They all handled it very well – they were sad, curious, yet understanding. I wouldn’t have had it any other way. Since it was early, we had only announced my pregnancy to a few close family members. I still felt the need to announce the pregnancy to others because I didn’t want this life to go unknown. Every life is special, no matter how long or short. And I also wanted our believing friends and family to be able to lift our family up in prayer during this difficult time. So sadly, our pregnancy announcement was accompanied by a death announcement. Truly, the only thing that has gotten as through this is the strength of the Lord and His promises. 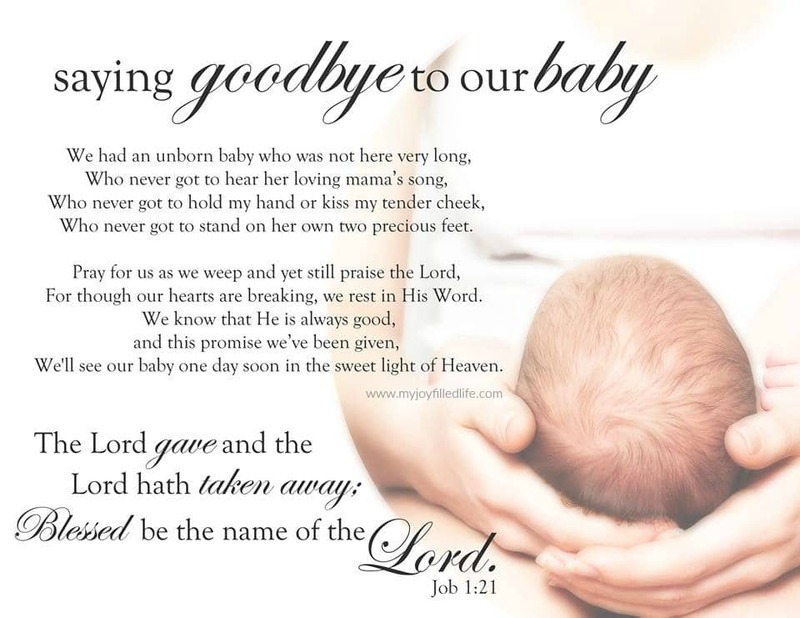 We are comforted knowing that our baby is in the arms of Jesus and that we will be reunited one day in heaven. This baby will always be a part of our lives and we will remember it forever. While we will always carry him or her in our hearts, we also wanted to do something that would be a visual reminder and honor to our baby. We decided to do this by planting a tree in our backyard. 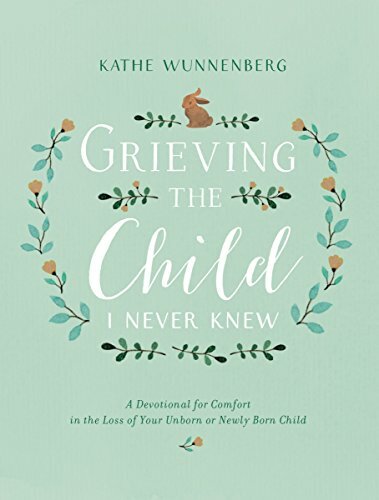 You can read about that below, as well as several other different and unique ways to honor your own baby, or a baby lost to family or friends you know, during this month and any other time of the year. This is what we decided to do to memorialize and honor our Angel baby. My husband and I went to the nursery, picked out a tree, and we buried the baby under the tree we planted. It was a family affair – we all helped dig the hole and we all helped fill it in. The tree we chose was an October Glory Maple – we thought that tree was perfect and fitting. 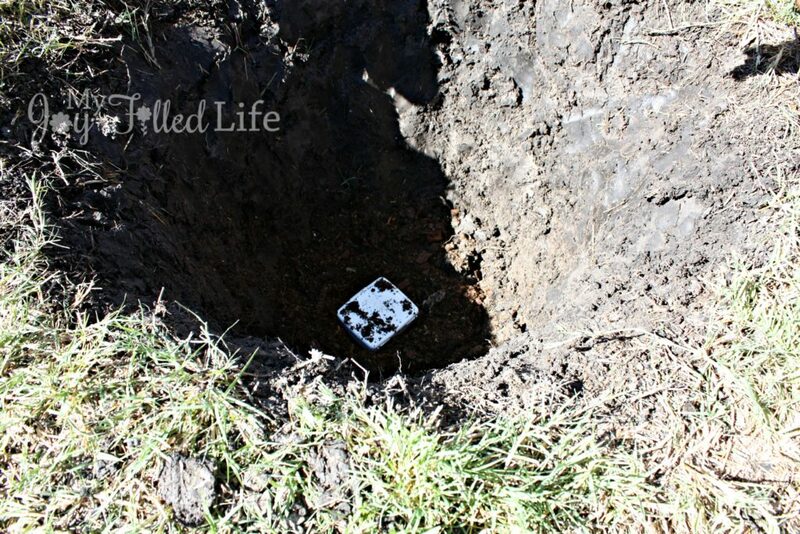 We buried the baby in a small first-aid kit that we lined with a piece of my baby blanket from when I was a child. 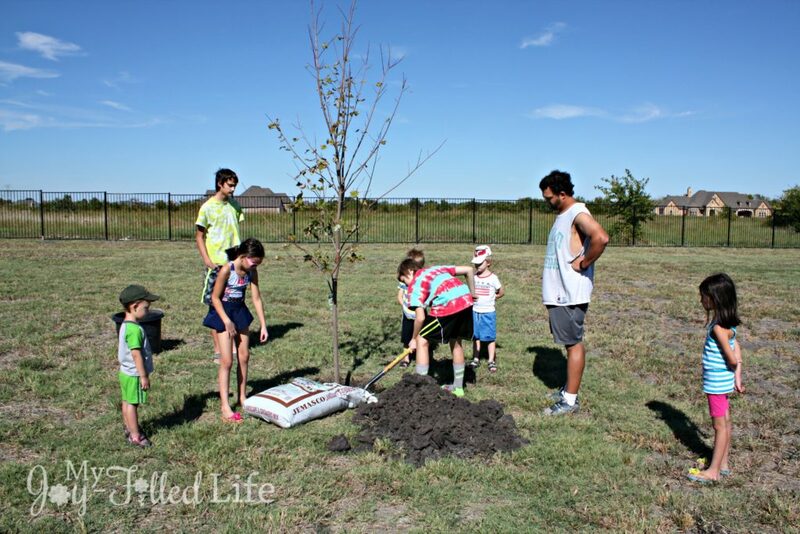 Planting a tree is very customizable option, as you can choose a tree that is symbolic of your child’s birth month, a tree that blooms in colors you had chosen for them, a tree with their name, and so much more. You can plant it in your own yard, or in a special place, a park, a memorial garden, wherever you have permission and want to do so. You can even write notes to your child and leave them in a hole in a tree, tie ornaments and trinkets to the branches, whatever stands out to you to honor their life. 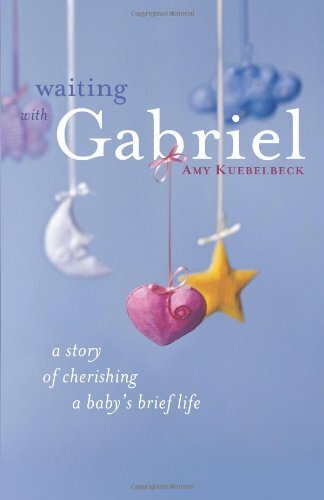 If you have a miscarriage, naming your baby is a wonderful way to honor and remember them. It also helps personify them and give them an identity and can also serve as a way to bring closure to some families. You may have noticed me referring to our baby above as Angel baby; as a family, we decided to name our baby Angel. It was too early to know the gender of our baby, so we wanted to pick something that could be a boy or girl name. Angel was perfect as we now have an angel in heaven watching over us. If you lost a baby to early infant death, you obviously already gave your baby a name. 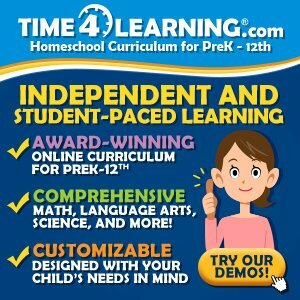 In this case, you could consider using the baby’s name as a middle name for any child(ren) you might have in the future, to help your baby’s memory live on and to create a connection between siblings. This is also something else we have done. 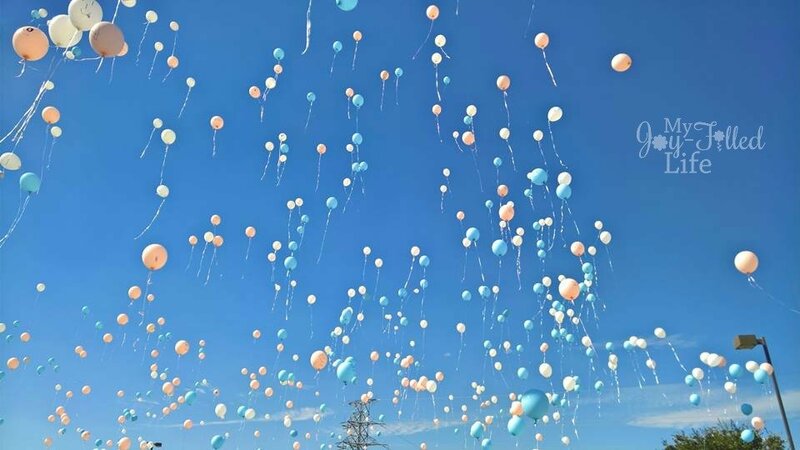 Last year, we participated in a ‘Walk to Remember’ and memorial balloon release that is an annual event organized by a local miscarriage support group. It’s a beautiful ceremony to remember babies who have died. 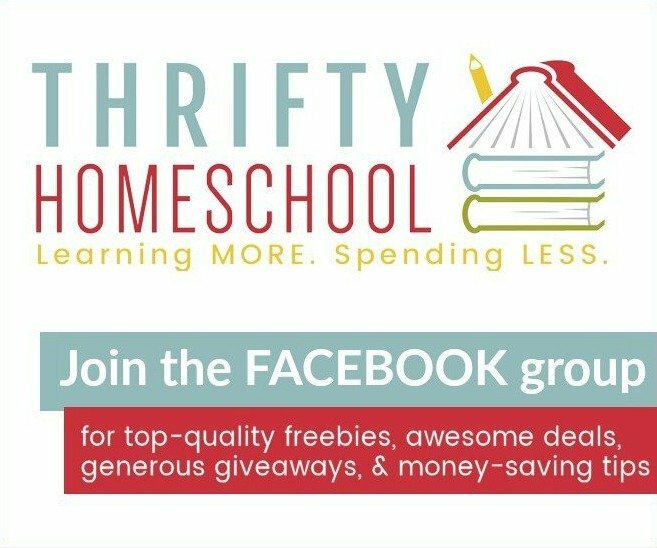 You can partake in a community event or simply do a balloon release with your own family. You can pick colors that are special to you and you can even write a message to your baby on the balloon before you release it. Much like a balloon release, a sky lantern release can be customized in many of the same ways. You can choose what colors to use for your baby, write messages on them before they are lit, tie or glue small things to them before lighting to be included in their journey, you can even sprinkle small amounts of ashes on the lighting base to be taken to wherever they land. You can also choose the number to let loose – from one special giant lantern to many smaller (or bigger) lanterns representing their age or gestation at loss. They even have heart-shaped lanterns, so the possibilities are numerous. 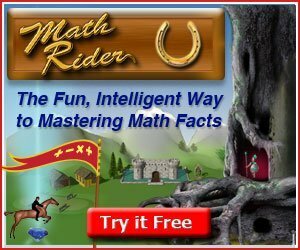 There are many websites that offer the option to customize, make, and order your own shirt(s) to use for whatever reason you wish. This includes special shirts made to commemorate the life and loss of your baby. 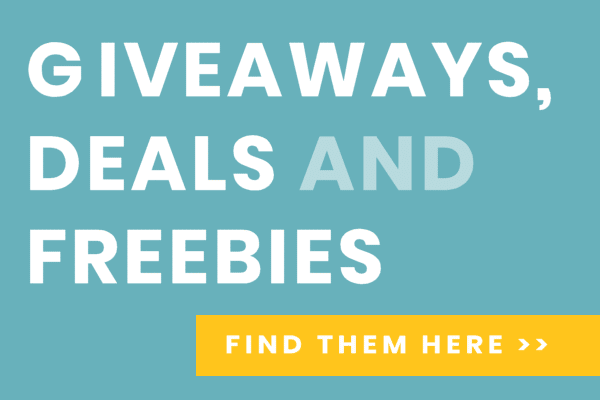 You can include a photo of them, their name, their dates of birth and death, birth stats, quotes, animals, flowers, anything that reminds you of them and their personality or birth date or nursery décor – anything. They can even be made in bulk amounts for special events like remembrance walks and more. You can choose to blend together fragrances of all kinds to create a customized scent to remind you of your baby every day. 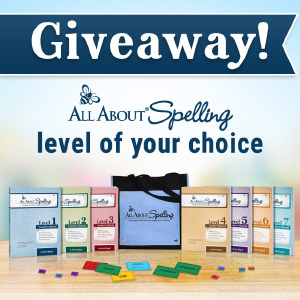 Whether it be a mixture of floral or woodsy scents, or a blend similar to the scent of a baby laundry detergent you used, or baby powder, the options are virtually endless here as well, and can pick you up when you’re feeling down. You can choose essential oils from plants that are associated with their birth month or loss month, oils associated with loss and hope – so many options to always have that scent close to your heart. Another option for honoring your baby is with jewelry. From rings, necklaces, and bracelets, the possibilities are endless with this. You can have their name and birthdate engraved into a ring or other piece of jewelry, or you could use charms and gem stones as a remembrance. 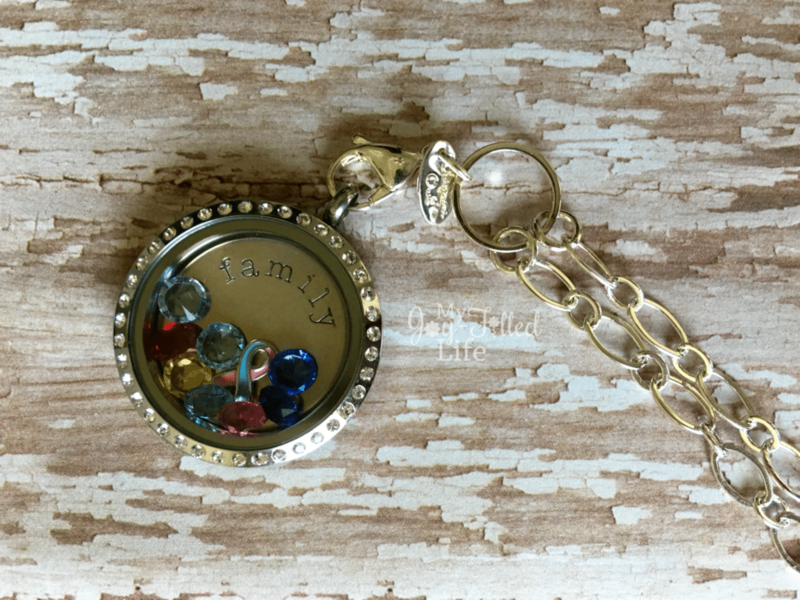 I have an Origami Owl locket that has all of my kids’ birthstones in it; I added the birthstone for our Angel baby as well as the pink and blue loss ribbon. Many companies offer this jewelry and the charms to go in them now, and you can choose charms with their initial or name, their birth stone, different flower, baby, or shape charms, loss ribbons, and much more. You can even customize the shape and color of the locket and add a background plate or screen that can be engraved however you wish. Keeping the mementos from your pregnancy and your baby’s early days is a wonderful way to remember your baby. Keeping things like ultrasound pictures, positive pregnancy tests, hospital bracelets, and clothing/blankets will allow you to reminisce about your baby and can also help with the healing process. You can choose to make a lovely shadow box to put on display in your home, or to keep these items more private in a memory/keepsake box. A lot of women opt for getting a tattoo to honor and memorialize their baby because it is permanent and will be with them always – just like they want their baby to be. You can get pretty creative with tattoos – there are so many ways you can honor your baby in this way, from simply getting a tattoo with their name and birthdate, getting a small heart, wings, or footprints, or even having a picture of them made into a tattoo. I don’t have a tattoo, nor did I ever think I would consider one, but since my miscarriage, this is something I have seriously considered. These are pretty powerful pictures. There are some pretty talented photographers out there that have taken a picture of living members of a family and added shadows of the child(ren) that they have lost. I get chills when I see these kinds of pictures and think a picture like this would bring so much peace and healing to a hurting mama’s heart. There are several ways that you can donate to a charity or charities in your baby’s honor. You can simply make a monetary donation to a charity or cause that is close to your heart in your baby’s name, or you can participate in a charity event (walk-a-thon) in their honor. If you don’t have the financial means to donate, you can always donate your time – volunteer in a NICU or children’s hospital or for your local miscarriage support group or organization – any good cause that is meaningful to you. You could even start a foundation/non-profit in your baby’s name or honor, perhaps related to miscarriage or the cause of their death. 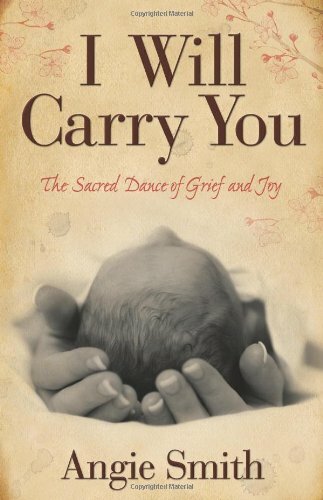 You will never forget the life of your baby, whether it ended while still in the womb or outside. Loss is loss, and it forever changes all who experience it. These, and so many other ways of remembering and honoring the life that was taken too soon, and therefore changed yours forever, can be a way to not only help commemorate that life, but also help heal yours. 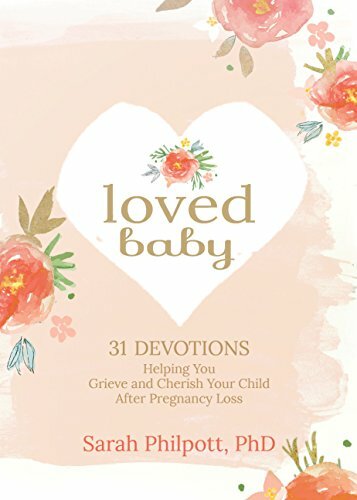 Are there any ways that you have found to specially honor your baby’s life?